From its early days in the 1920s, as a small pharmaceutical company selling in to the Italian market, Recordati has come a long way. It is now listed on the Italian stock exchange and generates 70 per cent of its revenues outside Italy. And Giovanni Recordati, the third generation of his family to lead the company, believes firmly in continuing to diversify and expand internationally. “This volume effect and our continuous product diversification efforts are part of our growth strategy. Furthermore, our strategy is focused on expanding our presence into new markets,” he states. In Italy the government is focusing on increasing the use of generic medicines rather than original brands, which is one reason why Recordati is actively pursuing geographic diversification to take advantage of new markets. “My focus has been to continue what my father started and that is to significantly diversify our geographical footprint. We are most interested in those regions with currently underdeveloped pharmaceutical markets but which are growing economically and are progressively dedicating resources to spending for healthcare. For example, Russia and the other Central and Eastern European countries, like Turkey, and regions like the Middle East and North Africa,” he continues. This plan has resulted in the purchase of two Turkish companies recently. As he explains: “Countries like Turkey have traditionally spent one tenth of what is spent in Western Europe on healthcare and this represents great potential at a time when the economies of these countries are growing and social systems are developing. “Our first acquisition in Turkey was important but, in order to increase our chances of success and take full advantage of its potential, we have decided to increase our presence there. Turkey is now our third largest market after Italy and France,” Recordati asserts. Giovanni Recordati holds a PhD in chemical engineering from the Politecnico di Milano and a Master's degree in management science from Imperial College London. He joined Recordati in 1974. Since 1977 he has been a member of the board of directors. In 1980 he was named vice president for manufacturing and in 1984 he also took responsibility for research & development and corporate operations. In 1990 he became president and chief operating officer. 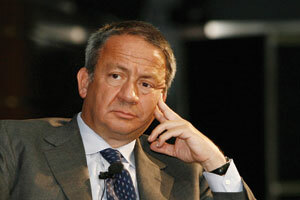 He took his present position as chairman of the board and chief executive officer of the Recordati group in 1999. “Many people say Turkey could be considered the 'China of Europe'. I think this is a good definition because Turkey is a big market of 75 million people. It is a market in which the population is still young and the per capita consumption of drugs is about one tenth of that in Western Europe, so there is ample room for growth. “It is also a well developed market; doctors are well educated, pharmaceutical companies are there and it's possible to acquire them. It's important to have a market like Turkey or Russia in order to benefit from the higher rate of growth compared to Western European markets. 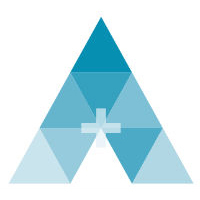 In primary care, the company is focusing on Europe, particularly the Mediterranean area. It is also considering the Middle East and Northern Africa. “Egypt is a big market. We have already made some investment there. And though there is some political tumult at present, in the medium- to longer-term, Egypt could be important for growth,” he continues. Giovanni Recordati's father, Arrigo Recordati, developed the business on from his father's early steps in industrialising his own preparations in his pharmacy premises, moving the company to Milan from Correggio in Reggio Emilia. He expanded the R&D side, building a fully equipped laboratory. Then in the 1960s he began to expand it outside Italy, having the foresight to enter into partnerships with overseas producers to strengthen the company's product portfolio and making Recordati one of the first Italian companies to have subsidiaries in Brazil and Mexico, for example. In 1984 the company was listed on the Italian Stock Exchange, which Giovanni Recordati notes as a key date for the company. “That was a very important step because even if our company was, and still is, controlled by our family, to be listed is to change the mentality of the company, because you need to have professional management, real accounts, all details, and so it changes the culture of the company,” he states. In Italy itself, he sees the main issue as one of a lack of stability and planning from a regulatory point of view, when drugs typically take 10 years or more to be developed: “Of course, we cannot ask our government to know what the situation will be in 10 years, but we want to avoid the present situation in which rules and laws can change from one day to the other,” he asserts. “In other countries, like France, you can plan in advance. You can discuss with the administration and you know what is going to happen from one year to the next. The acquisition of Orphan Europe four years ago is a further example of the company's successful diversification. Though not a large company, having revenues of around €70m, it has a reach that extends all over Europe. Recordati believes the future lies in offering treatments for unmet medical needs: “Cures for most common diseases and conditions already exist and, although many of these can be further improved, the value of these improvements is not recognised by healthcare systems' pricing policies. Another objective is to grow the orphan business in the US: “We are already present in the US with a couple of products and we think that the orphan business could allow us to enlarge our presence in the US,” Recordati continues. In addition, there is the difficulty of deciding which innovations and regimens to invest in and develop. Recordati offers treatments for a wide range of therapeutic areas. However, in terms of research and development it has historically focused on the area of cardiology and hypertension in particular. The company also has long expertise in urology. “We are currently rolling out a new drug for the treatment of benign prostatic hyperplasia and will soon be starting the last phase of development for an innovative new treatment for this condition,” Recordati explains. “In addition, the area of rare diseases, particularly those related to congenital metabolic defects, is a priority. Talking about Corporate Social Responsibility (CSR), he says: “I am convinced that any company that ignores the welfare of the people involved in its business or the environment where it operates is bound to be unsuccessful in the long term. Therefore we conduct our business in a respectful and ethical manner and we are proud of our reputation as a sound and responsible company. “Since 1999 when I became CEO, I am proud to say that we have developed to become a medium-sized European multinational, with just 30 per cent of our revenue now coming from Italy. We have about 3,200 employees and we are a profitable company. We are very well respected as a company because we deliver what we promise. This is very important, particularly when you are a public company, that when you declare certain targets, certain objectives, you must deliver. “At Recordati we have demonstrated that a small, national company can enlarge and improve its profitability if the right model is adopted. There are no general rules; every company must make its own. Linda Banks is the editor of PME.